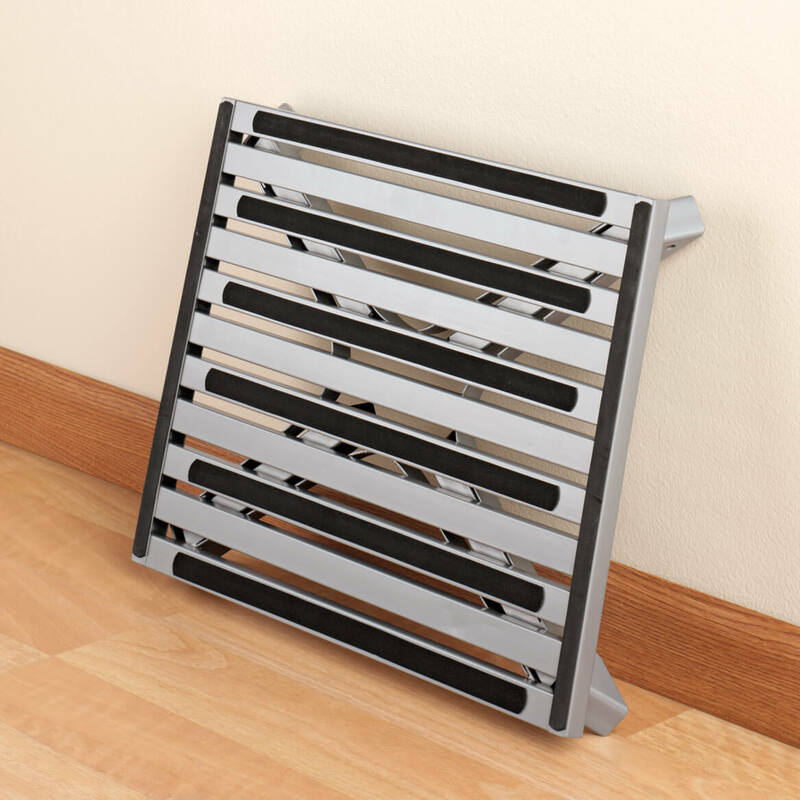 Had been looking for this type of step for a while. This is great product. I feel very safe when I use it. I am handicap and have a hard time getting around. I feel this a little heavy but I am able to carry it a few feet. I will buy another one as soon as I can. We are a retirement community which provides transportation to our residents. 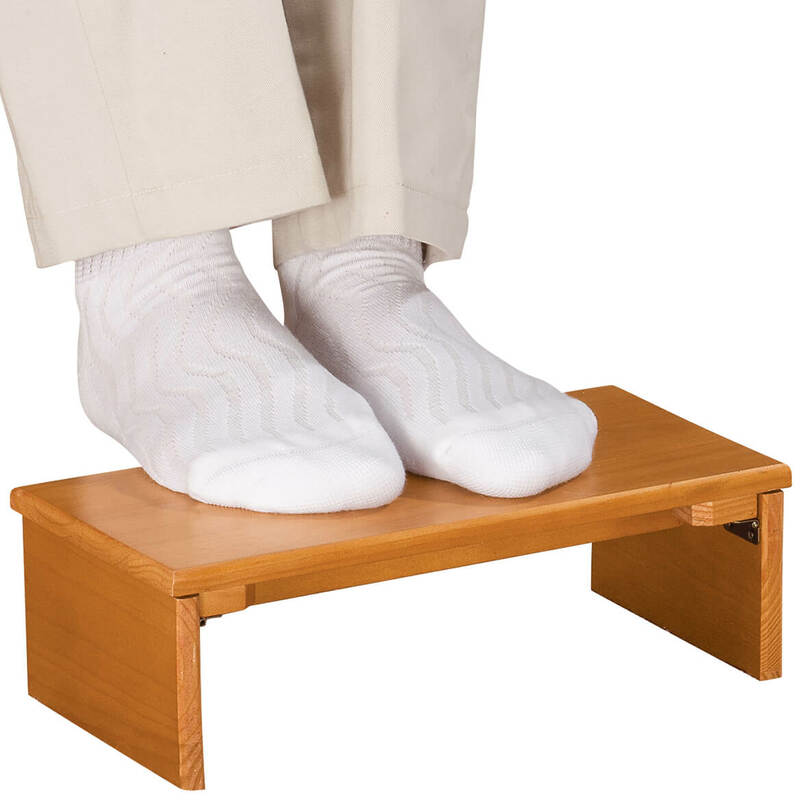 This stool helps them get into our vehicles more easily. 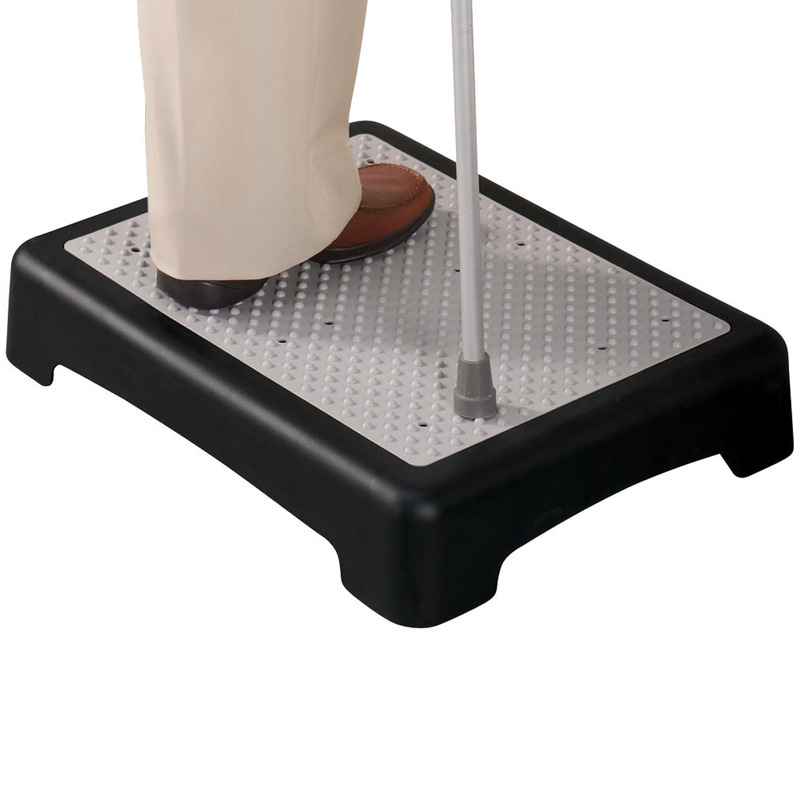 We find it useful with the legs either extended or not-it is very stable both ways. It is easily folded for storing in the cars and we appreciate the safety conscious design. Works very well for us! I'm short. This is to help reach things. I have a cabinet that I can't reach without a stool.. My old one was coming apart. Father's bed too high, just right for getting into bed. BEST ANSWER: The stool is 19" x 14 1/2" and is 8" high. Sorry I didn't answer sooner. It is in my daughter's SUV and she was in CA. She measured it for me today. I cannot get into her van without it. Highly recommend it. Like that it folds up and takes up little space. To the top of the step it is 8-1/2" high. 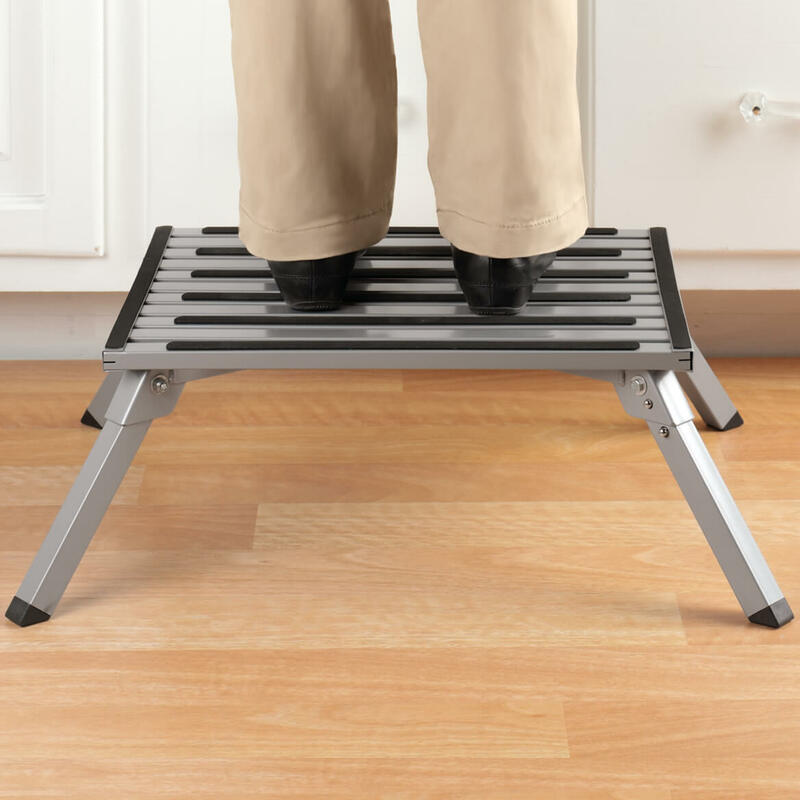 Just an added note, the step is definitely wider and heavier than a regular step stool and it works out great for what I need standing at my kitchen sink. If you have additional questions, please let me know. The answer to the question is: 2.5 in. 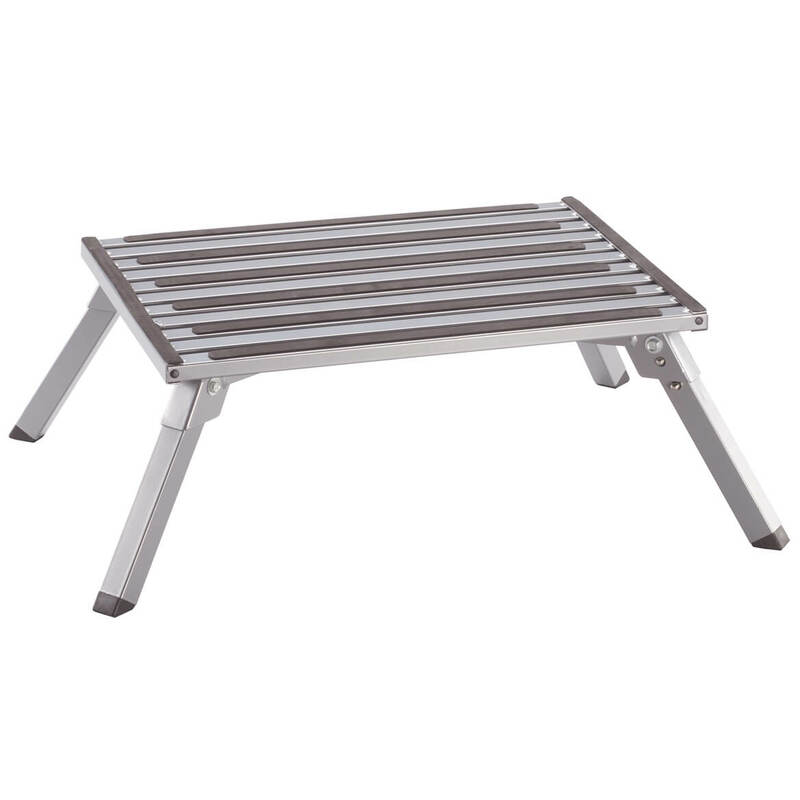 in folded position and 8.0 in when open and standing on it. Note: I have answered the Shopper's question; but for YOUR information the The stool (otherwise great) is too heavy! About 8-9 inches. Not quite high enough for me to change a light bulb and I am 5'9"
I think it's about 8" high. BEST ANSWER: Thank you for your question. 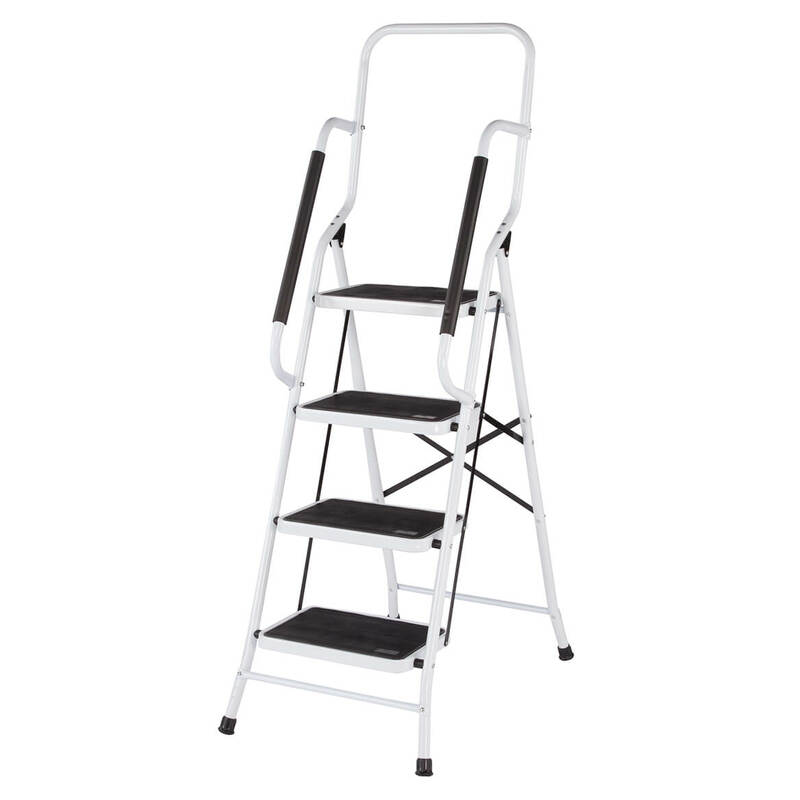 The height is not adjustable. We hope this information will be of help to you. 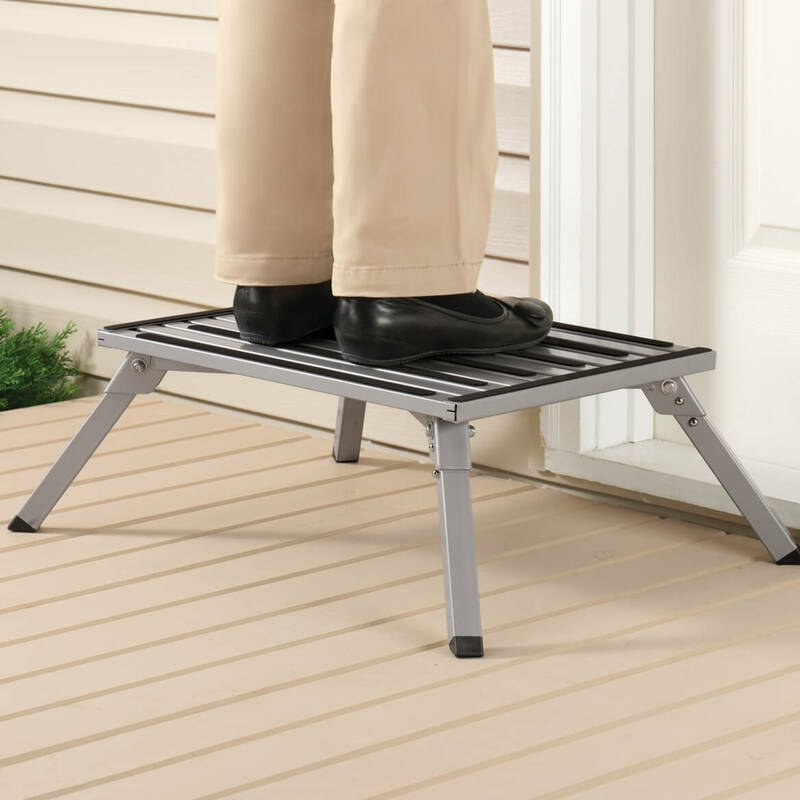 Folding step stool stands upright... folds flat. 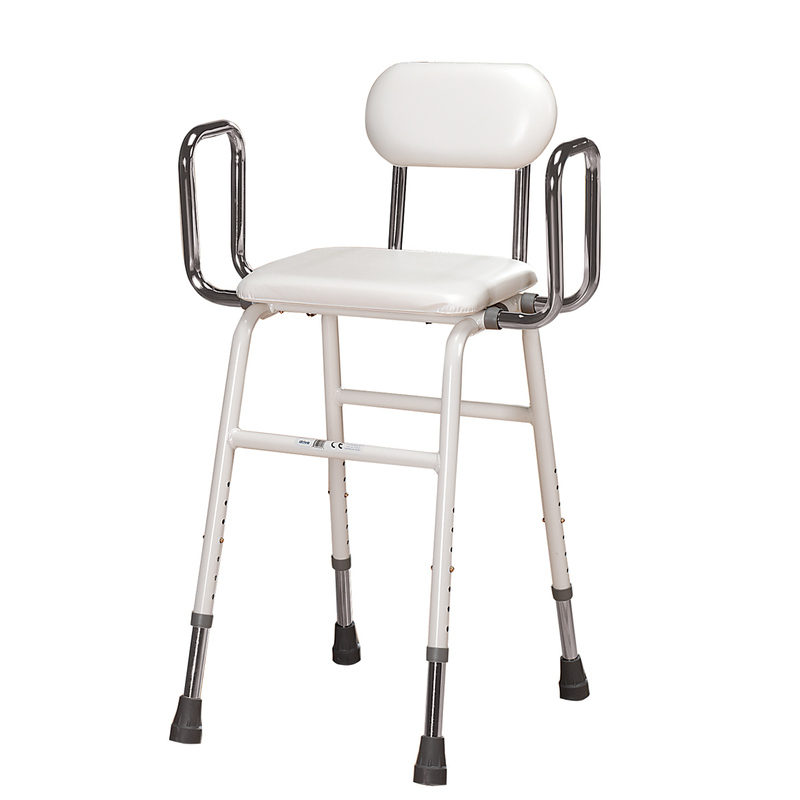 Plastic 8 3/4 high stool has 9 x 11 surface. 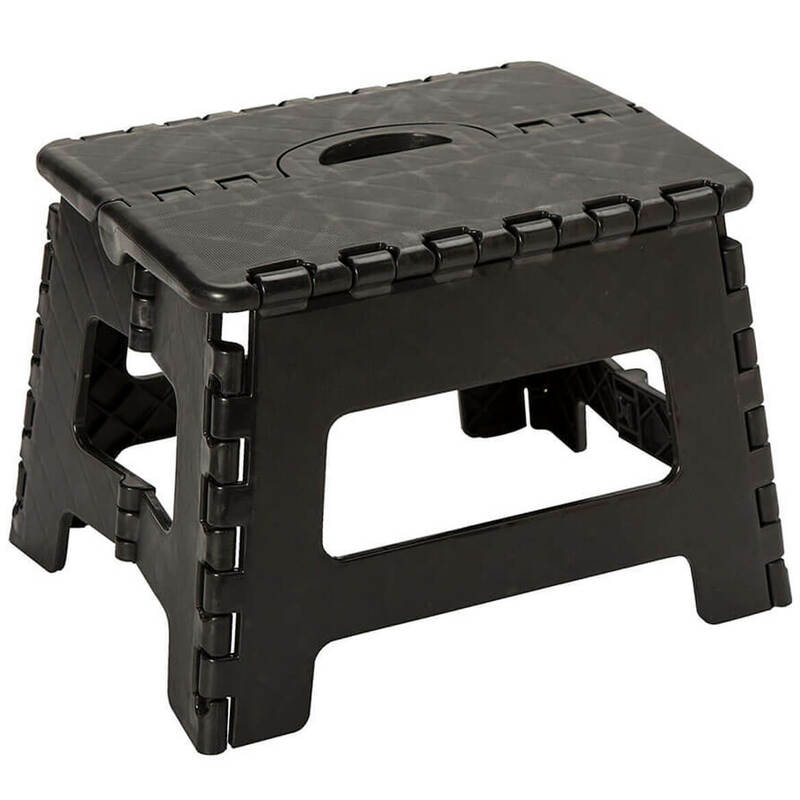 Folds to 2 W. Sturdy plastic foldable step stool has built-in handle and skid-resistant top; supports up to 250 lbs.